If you have arrived here from Peachy's Blog, you are on the right path. 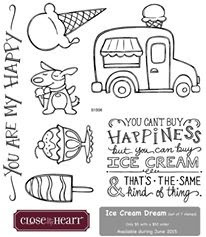 This month we are featuring Ice Cream Dream, a set of 7 stamps great for scrapbook layouts and fun summer cards. The images really come to life when colored with the ShinHan Touch Twin Markers. This month we are sharing creative ideas from 50 talented consultants. Sit down with your beverage of choice (or maybe a dish or your favorite ice cream) and get your pinning finger ready since you're in for some really yummy treats. 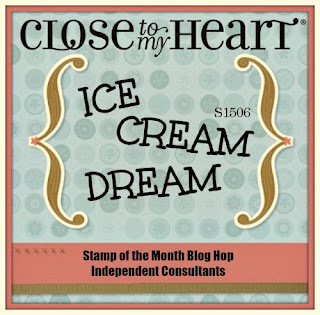 At the end of my blog post you will see a link to the next consultant in the hop. I've had fun creating a number of things using this stamp set. I decided to share a layout that takes its inspiration from the pastor of my church. 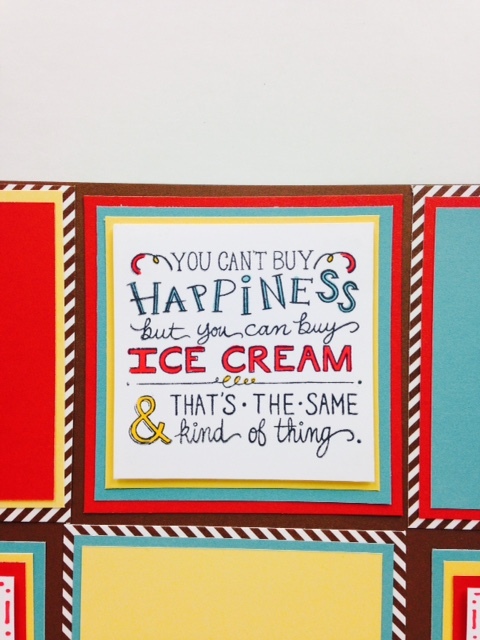 No, he's not a stamper or scrapbooker, but he loves ice cream. We are putting together a scrapbook for his retirement next year, so this is just one of the layouts destined for his book. 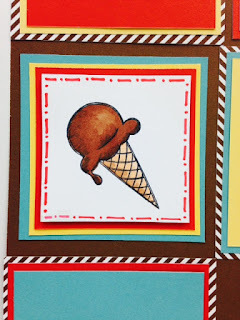 Later this year we are having a Sundae Sunday, so I plan to get pictures of him eating ice cream as well as a few other photos of the event for this layout. If you look closely at the ice cream truck, you'll see his face peeking out at us. The truck is labeled "Retirement Fun" and the door is labeled "Fr. Ron." Here are a few close ups of some of the stamps that were colored with the ShinHan Touch Twin markers. The ice cream sundae dish was colored with the CTMH silver metallic marker. Here's a list of the CTMH Products used in this layout in addition to the June Stamp of the month. 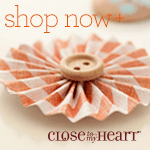 Click on any of the products to go to my website to get a better look or to place an order. ShinHan Touch Twin Markers I used Bronze, Mahogany, Barely Beige, Tender Pink, Carmine and Turquoise Blue. 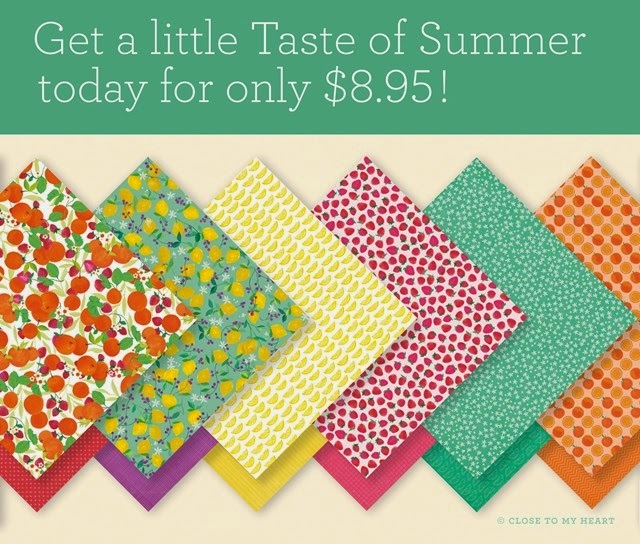 Remember this set, Ice Cream Dream, is only available through June 30th for $17.95, however, you can purchase it for only $5 with a qualifying order of $50. 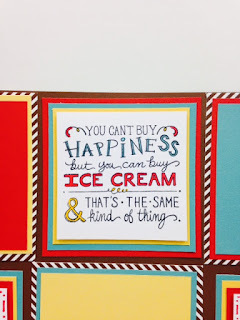 The next stop along this blog hop is Priscilla's blog . 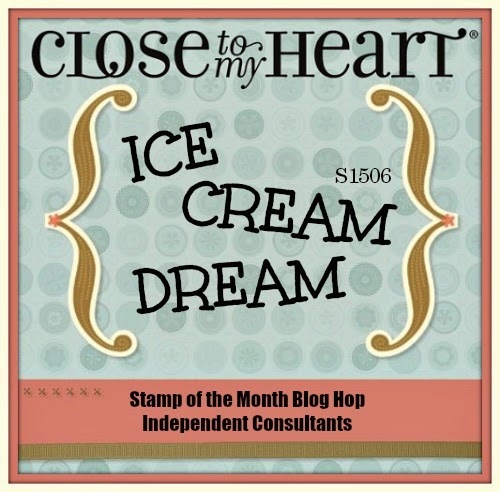 Be sure to visit all the consultants' blogs to view some delicious ideas.